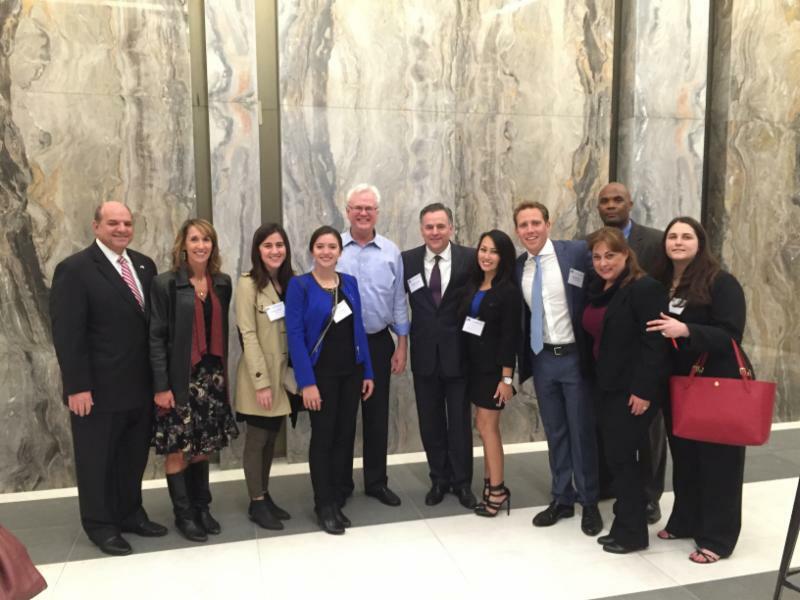 The Beacon Council guests received a preview of the Brickell City Centre’s new office building and restaurant. The Beacon Council guests received a “first peek” tour of the new Akerman Law Firm office and enjoyed culinary treats from Quinto la Huella, the featured restaurant at East Miami, opening in late Spring. 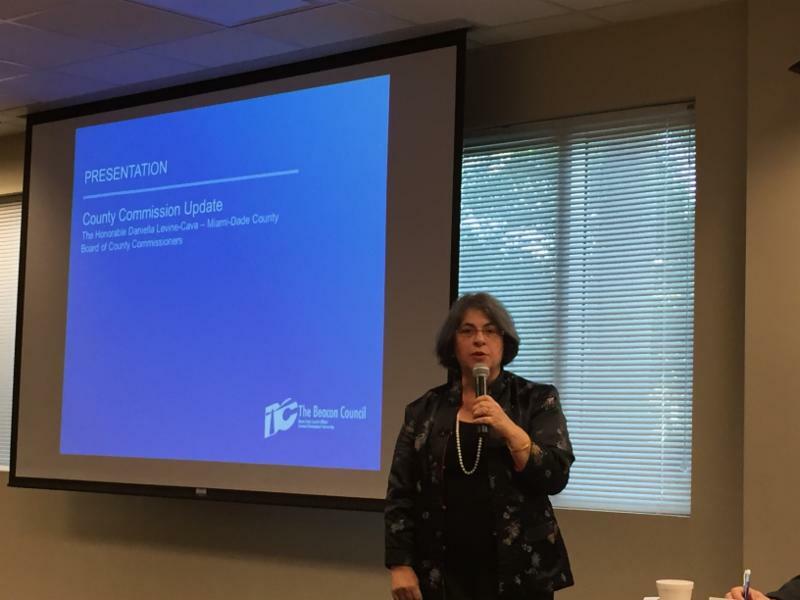 Miami-Dade Commissioner Daniella Levine Cava provides update during Board of Directors Meeting. 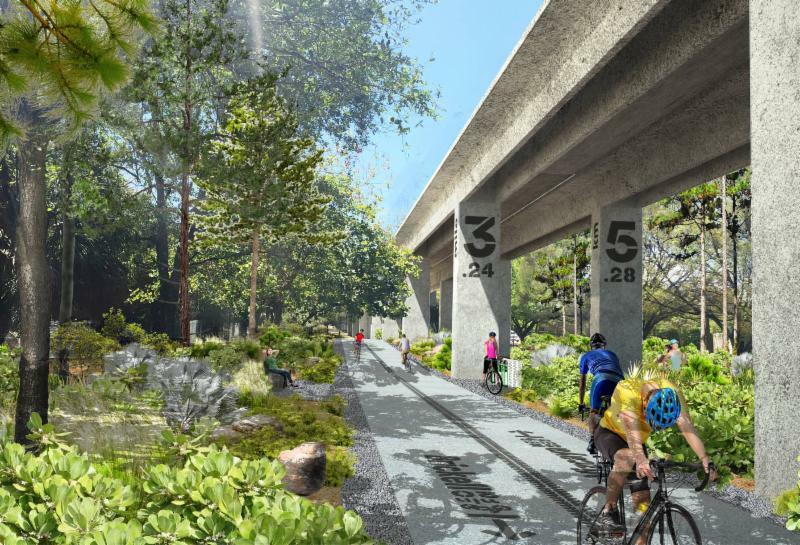 The Beacon Council Board of Directors endorsed The Underline, a 10-mile-long linear park to be located underneath the Metrorail. Miami-Dade Commissioner Daniella Levine Cava, a member of The Beacon Council Board, provided a briefing from County Hall for Board Members and eMerge Americas CEO Xavier Gonzalez shared news about this year’s eMerge event scheduled for April 18-19, 2016. Bob Epling, President of the Community Bank of Florida and a Past Chair of The Beacon Council and Bill Duquette, CEO of Homestead Hospital, presented “Tomorrow’s South Dade”, a vision for further economic development in the south part of our county. The presentations help the Board gain a better understanding of the many assets we have throughout the county, specifically in South Dade. Special thanks to Penny Shaffer, Market President at Florida Blue for hosting this quarter’s Board Meeting. The Beacon Council showcases businesses throughout the community by periodically hosting meetings at various locations. Artist rendering of The Underline. 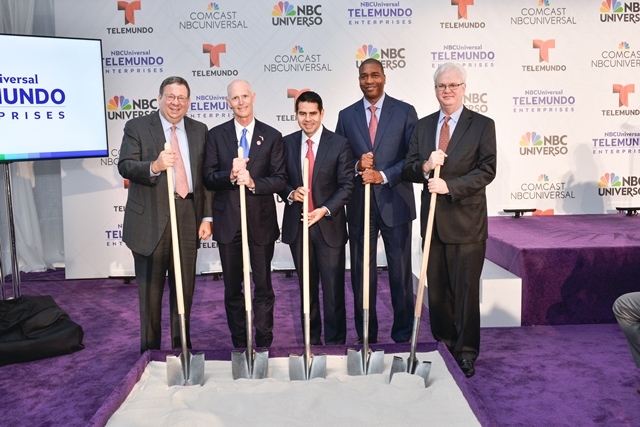 The Beacon Council is proud to announce that NBCUniversal Telemundo Enterprises’ has chosen Miami-Dade as the site for its new global headquarters, adding 150 new jobs and investing more than $250 million. Cesar Conde, Chairman, NBCUniversal International Group and NBCUniversal Telemundo Enterprises, provided a video announcement of the news sharing the vision for the unified company taking advantage of Miami’s assets to position NBCUniversal Telemundo Enterprises as a global leader. 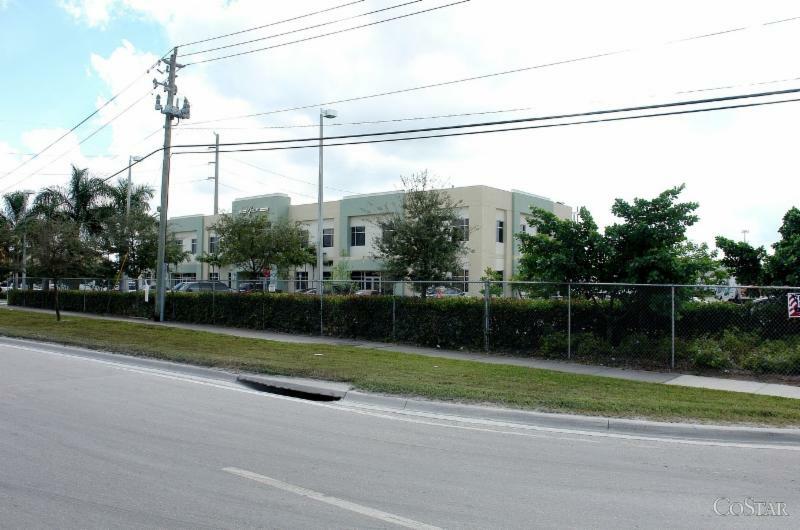 The Miami Business Profile & Location Guide provides a quick reference guide for new or expanding businesses that includes county and state incentives, consulate information and other resources. Rev. Monsignor Franklyn M. Casale, president of St. Thomas University (STU), has been elected chair of the board of the Association of Catholic Colleges and Universities (ACCU), a Washington-D.C.-based association of more than 230 member institutions. Monsignor Casale, who was previously chair of the ACCU Investment Committee, will serve as chair for a two-year term. We are pleased to report the building’s parking garage at 80 SW 8th Street has reopened. The entrance is located on 8th Street only. 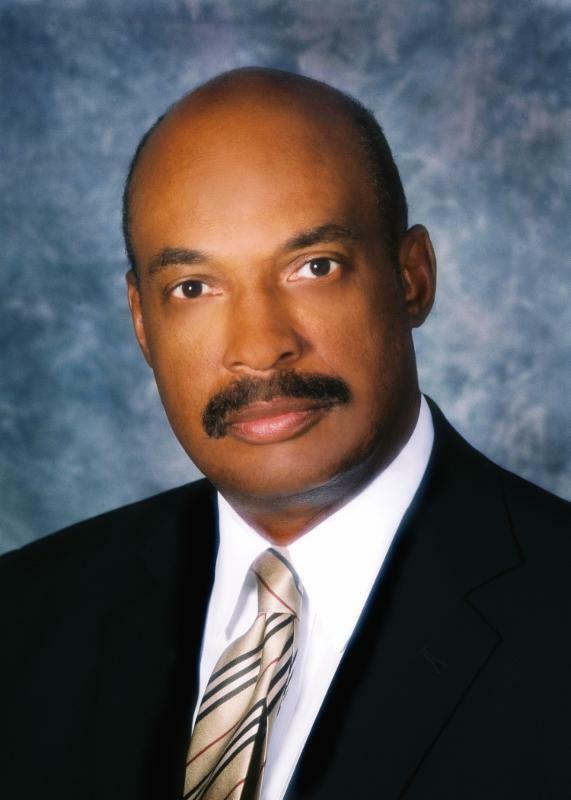 Akerman LLP announced that partner Michael Chavies with the Litigation Practice Group has been installed as the 78th president and chair of the Orange Bowl Committee.